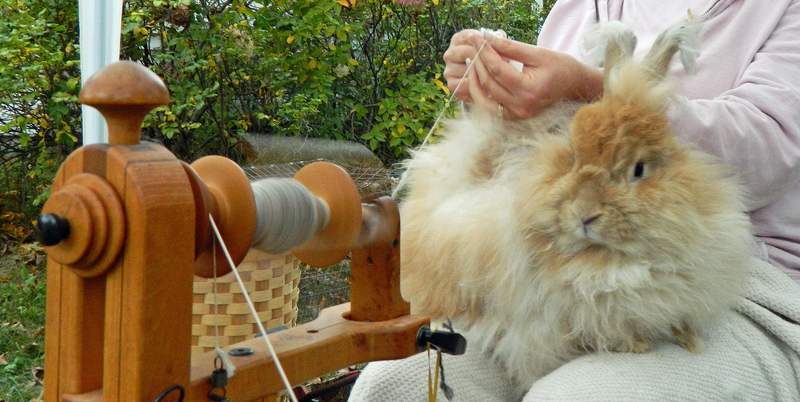 Home › Art › Spinning Bunnies! Bunny doesn’t seem to mind…. 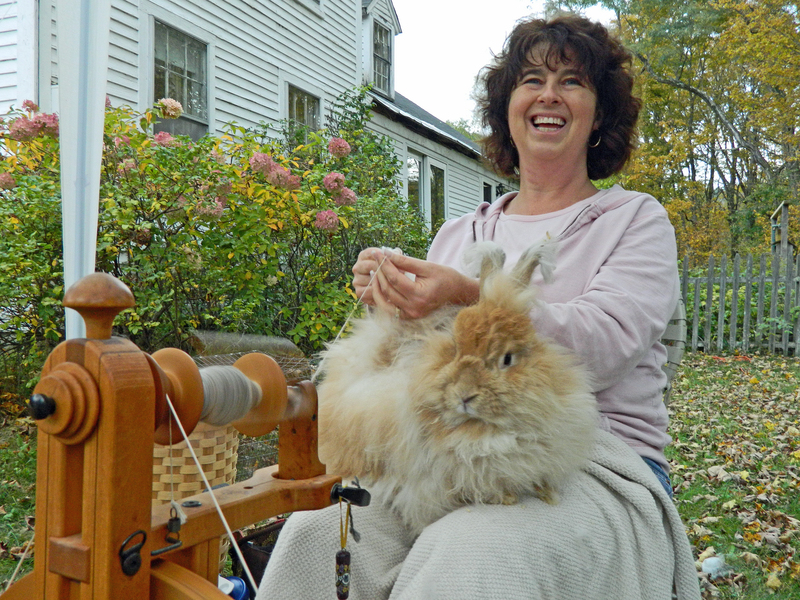 I told someone I had seen “spinning bunnies” while enjoying the Wool Weekend tour (various alpaca and sheep farms host vendors over the holiday weekend), they laughed and asked if it were like “cat juggling”. No. The bunny seems to enjoy it. Lovely woman, with happy bunnies…. In the spring, I think we could do that with our orange cats. oh Moxie also though she would never sit in my lap that long! The spinning bunnies did seem to really enjoy it. The bunnies did seem to really enjoy it.